Minneapolis can now add the credential of having one of the top urban forests. The City of Lakes is home to an abundance of varied parkland — a park every six blocks — including those designed for off-road cycling and those for hiking, canoeing and swimming. Minneapolis’ tree canopy of 31 percent is only 6.5 percent shy of its potential canopy of 37.5 percent based on geographic information system (GIS) analysis and modeling. Minneapolis was actually one of the first cities to use the U.S. Forest Service’s iTree assessment tool to determine the benefits of its urban forest. Today, it’s estimated that the city’s urban forest has a structural value of $756 million and also reduces energy use by $216,000 per year. 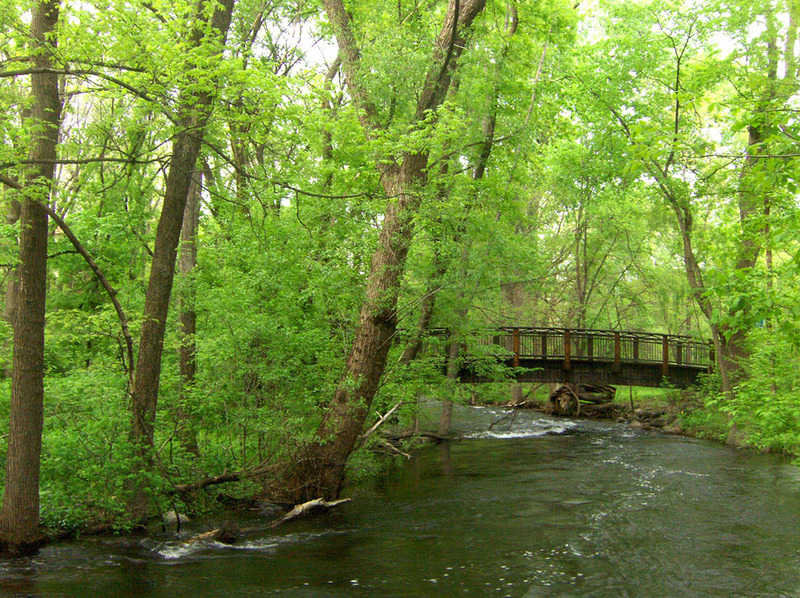 The photo shows Minnehaha Creek above the falls, by zuluadams, via Stuff about Minneapolis. Very impressive. Toronto, ON prides itself on our tree cover, but I see we have less than 20%. Sue, the difference may also depend on how a city defines its limits. If the "city" encompasses areas that would otherwise be called "suburbs", the percentage of tree cover may be increased.